Craig Wright claims to be Satoshi Nakamoto. Some have claimed his proofs don’t add up… yet. We may never know the true identity the real Satoshi Nakamoto. 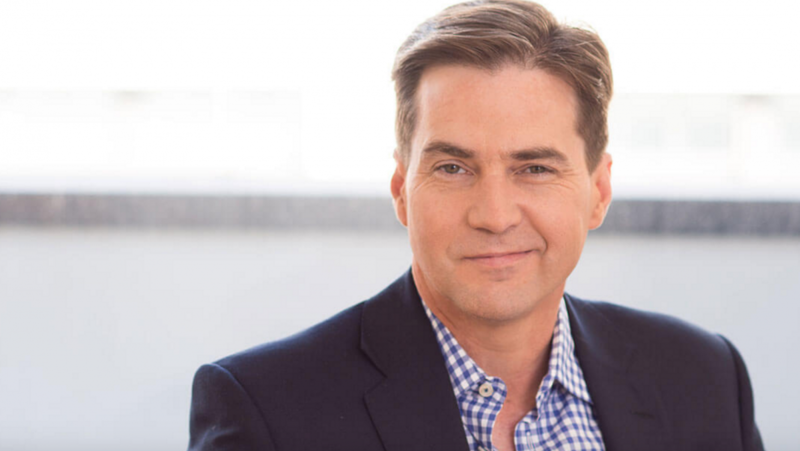 Australian academic Craig Wright has reportedly confirmed himself as the Bitcoin creator, signing messages with cryptographic keys said to solely belong to Satoshi in private sessions with a handful of media organizations and community luminaries. But within minutes of Wright’s claims being published, encryption experts have expressed doubt. In late 2015, Australian academic Wright was outed by Gawker and Wired as the most likely candidate for the true Satoshi. After analysing leaked emails and having traced Wright to his residence in Australia before he disappeared, it appeared he was indeed the original Bitcoin developer. But many later suggested there was no proof and that he had perpetrated an elaborate hoax. But in a strange, rambling blog released today, Wright posted some limited information, including what readers believed to be the result of cryptographically signing a slice of text from existentialist philosopher Jean-Peal Sartre. The cryptographic representation of that signed text, the blog indicated (though didn’t specifically state), could only have been the result of signing with Satoshi’s original key. According to the BBC, he will reveal more public information in the future. Backing up Wright’s claims were two significant members of the Bitcoin community: founding director at Bitcoin Foundation and CEO of Hushmail Jon Matonis, and chief scientist at the Bitcoin Foundation Gavin Andresen. Both were flown to London to meet Wright and be shown the cryptographic proofs, namely the signing of messages with a private key that most likely belonged to Satoshi (the key could have been stolen). “During the London proof sessions, I had the opportunity to review the relevant data along three distinct lines: cryptographic, social, and technical. Based on what I witnessed, it is my firm belief that Craig Steven Wright satisfies all three categories,” wrote Matonis. Other onlookers have noted problems with the publicly-available evidence, in particular the apparent proof from Wright’s own blog. Redditors pointed out that whilst Wright claimed to produce a signed piece of Sartre text, he actually just published the cryptographic representation of a 2009 transaction that took place on the Blockchain, the public ledger of all Bitcoin transactions. Doubts had already emerged when Wright was originally linked to Satoshi. Not only did it appear he altered now-deleted blog posts to insert evidence of his involvement in Bitcoin, he also seemed to have told fibs on his LinkedIn profile, saying he had been given a PhD from Sydney’s Charles Sturt University (CSU), which later said he hadn’t. His Cloudcroft business claimed to have had relationships with supercomputer providers that denied any connection to Wright. He has promised his only interview will be with the BBC, which is currently sharing information with experts to further determine the validity of Wright’s claims. The Economist and GQ also had access to Wright ahead of the big reveal today. Wright may soon provide more evidence to the wider world, rather than a select group of publications. All Wright needs to do, says Todd, is to provide a signature on the message “Craig Wright is Satoshi Nakamoto” signed by a key known to be Satoshi’s. Wright isn’t bothered what people believe, however, telling the BBC: “Some people will believe, some people won’t. And to tell you the truth, I don’t really care.” He said the decision to come out as Nakamoto was made for him, ostensibly by the media, who had made the lives of his family and coworkers difficult. Tips and comments are welcome at TFox-Brewster@forbes.com or tbthomasbrewster@gmail.com for PGP mail. Get me on Twitter @iblametom and tfoxbrewster@jabber.hot-chilli.net for Jabber encrypted chat. Backing up Wright’s claims were two significant members of the Bitcoin community: founding director at Bitcoin Foundation and CEO of Hushmail Jon Matonis, and chief scientist at the Bitcoin Foundation Gavin Andresen . Both were flown to London to meet Wright and be shown the cryptographic proofs, namely the signing of messages with a private key that most likely belonged to Satoshi (the key could have been stolen).